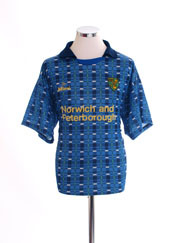 Norwich City (The Canaries) football shirts and soccer jerseys. Norwich Football Newspaper Book. Relive those glorious moments of your favourite team captured in newsprint. From the early 20th century to the recent past, each book affords a unique perspective on your team or sportâ€™s colourful history. They are not written by someone looking back in time, but by reporters who witnessed the games and events as they unfolded and in a language of the time. Capture the history and greatest moments of Norwich through the newspapers, as written at the time. Starting with coverage of Norwichâ€™s 2-0 win over cup holder Sheffield Wed in 1908, this book charts a glorious history of great games and League and Cup titles through the decades of the 20th century. Top games are covered, including the 3-0 win over Liverpool in the FA Cup in 1937; the 4-0 win over Spurs in 1979, and the win against Bayern Munich in 1993. The trophies gained, winning the League Cup in 1962 and 1985, promotion to the First Division in 1972, and promotion to the Premiership in 2004. 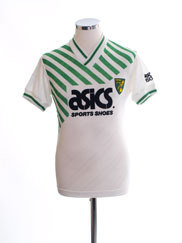 Read about, the first game at Carrow Road in 1935, the fire in 1984, the appointment of John Bond as manager in 1973, Delia Smith becoming board Director in 1996, and much much more. 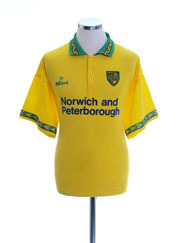 A unique and wonderful gift and must have for all Norwich fans.